Stuck Garage Door? - The Wright Door Co.
How Do I Free a Garage Door That Got Stuck? 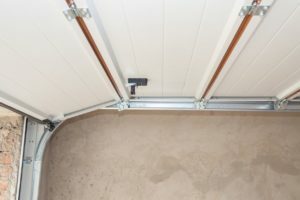 Disconnect the garage door from the drive motor. Open and close the door – it should move smoothly with consistent resistance. If it is sticky in any place, check for something twisting. If there is anything twisting or stuck, you may want to call us to come out to do maintenance and free the door. It is something you could feasibly do on your own, but there is a risk of injury, so keep that in mind. WD-40 is a tempting fix-all, much like duct tape. However, as tempted as you may be, that probably won’t fix your issue, and may make it worse by masking the problem. The problem may be that the grease in the drive is getting old and thick and making it hard to move the door. New grease or silicon would be the best place to start. We prefer silicone as it doesn’t attract dust and operates the drive a little more efficiently. We do recommend consulting a professional (we’d be happy to help you!) before making any changes to your drive’s internal lubrication. Operate the garage door opener. Without the weight of the door on it, it should move back and forth without sticking. If this is the case, the issue is likely the force adjustment setting (power setting). While the door is still off the drive, operate the garage door opener. Without the weight of the door, it should move back and forth without sticking. If it moves smoothly, the issue is probably with the power level (force adjustments). Be careful when setting the force adjustments, as too much force can damage your opener and garage door. 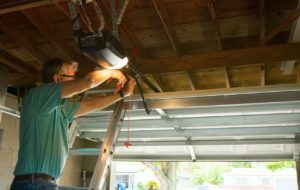 An annual or quarterly garage door maintenance plan can save you the hassle of dealing with problems as they come up. 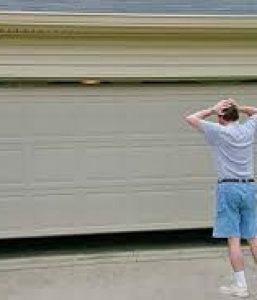 While it may seem like one more thing to spend money on, an issue with a garage door is often very inconvenient. If you can’t get your door open, you could be stuck at home! A maintenance plan is just as important for your garage door system as it is for your car. Regular maintenance from a professional can keep everything in good working order for the life of your products. Call us! We’d love to help you out!